Our new house is like these old Lesney diecast vehicles. A bit old, a bit battered, a bit out of date...but still quite charming. 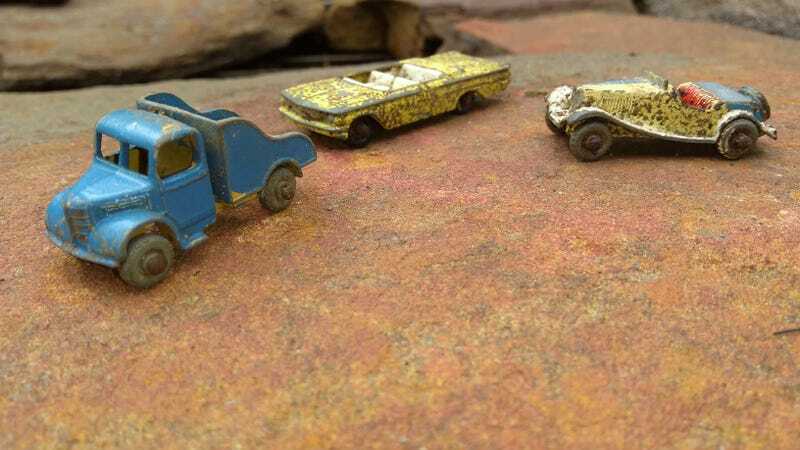 We found these little diecasts in a great swathe of crap left behind by the previous owner.